We know that asking grown adults to change is typically very difficult. We get used to our routines. This is true in our daily lives and at work as well. Take the golf swing for example. It is estimated it takes twenty-one days at three hours a day to change even something simple in a golf swing – say a change in the way the golfer grips the club. Most of us give up and go back to the way we did it before. We can laugh at ourselves in our routines in daily life. But a change in our businesses is usually a very serious affair. Whether it is embracing a new software or ERP system, a change in procedures with new forms and added sign offs or just adding a few meetings to the annual calendar, grown adults will usually resist from mild to severe. But changing the competitive strategy of your firm can be a huge deal. A Strategic change includes things like changing what products and services you offer at different price points and cost structures, geographic expansion, acquisitions or mergers, change in senior management, adding new investors, announcing a major cost reduction program and the like. As readers know, I do not regard academic research in business strategy very highly, and I am a former professor of strategy. But the academic field of change management has produced some solid research with very useful findings. 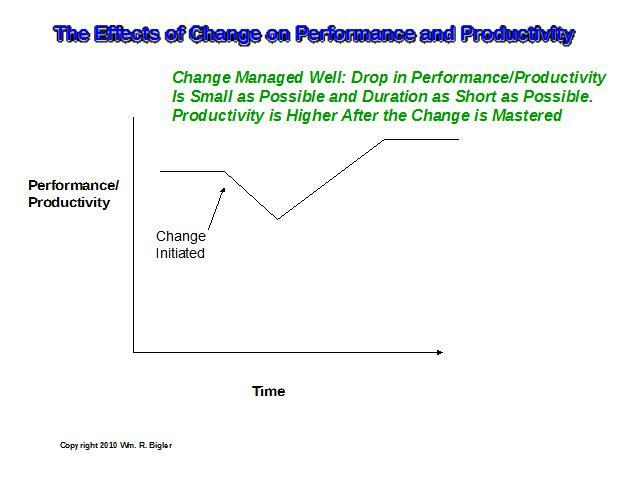 We know as almost a law that when we introduce strategic change people productivity almost always declines. Your best people usually float their resumes to build options in case they are to be negatively impacted. People engage in hall talk and gossip while they should be working hard on their jobs. 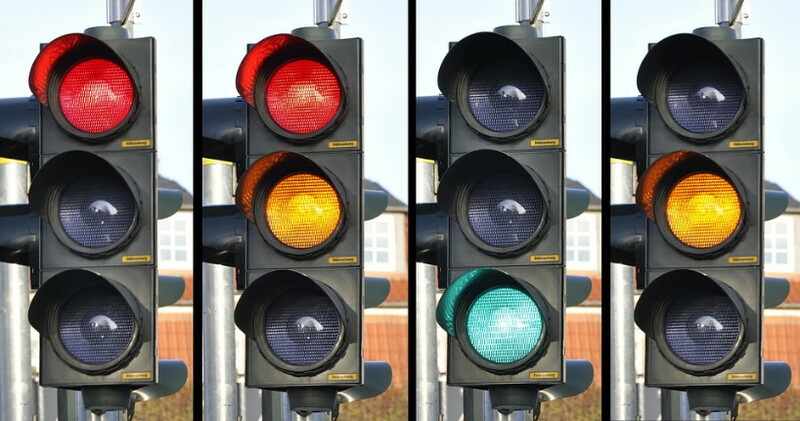 It is as if things come to a partial standstill until good change management is introduced. 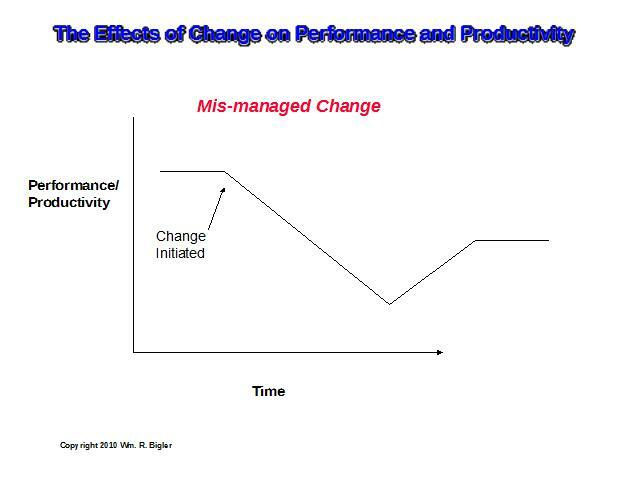 What then is good change management? The classic analogy is called “the burning platform”. Close your eyes and ponder this scenario: you are on an oilrig in the middle of an ocean and there is no moonlight so it is very dark. The oil rig catches on fire. As the flames approach, you have two choices. Stay put with a certain demise or plunge into the ocean. Most adults would take the plunge even without a life jacket. The learning here is how to we get grown adults to want to move to an uncertain future rather than staying with the status quo. The key word is want to, not have to. Feeling like we have to, without knowing why almost always produces resistance to change. Over the last ten to fifteen years, workers and executives in the developed countries have gotten better at being resilient to change because change has happened a lot. Jobs moving to China and Mexico, consolidation via merger and acquisition with resulting downsizing and cost reduction, new technologies disrupting older technologies, the retiring of the baby boom generation and more. But reacting to strategic change is still a challenge to deal with effectively. Create a compelling reason why your people should want to move to an uncertain future rather than stay with a doomed status quo. The old acronym WIIFM – What Is In It For Me? applies. Paint a vivid picture of what that future will look like when it is achieved. How will it improve the business and the lives of your people? Paint a vivid Roadmap of the initiatives and projects needed to get from now to the desired future. Show how your people will be involved. Introduce the minimum necessary training to provide your people with new skills. Lead with confidence and vitality and set an example. Do over and over again until the desired future is achieved. 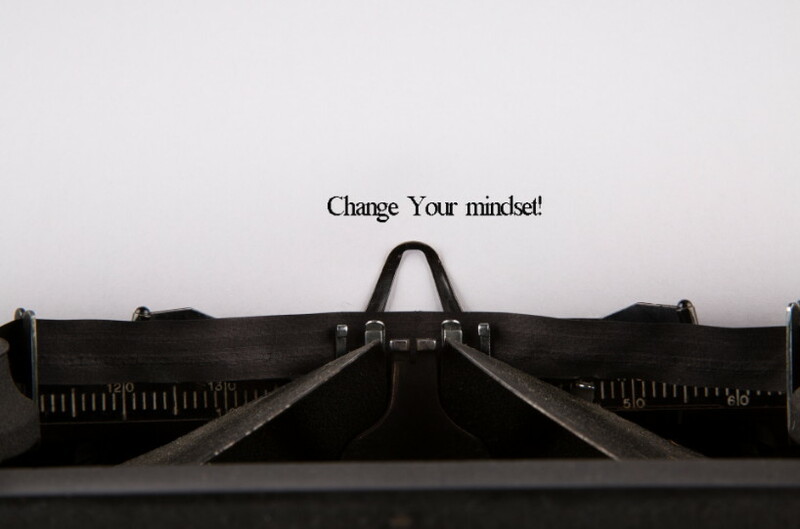 If you will follow these time-tested steps each time a significant change is introduced in your firm, then chances are: change will be managed well. And each time your people will get more resilient and better at changing themselves. 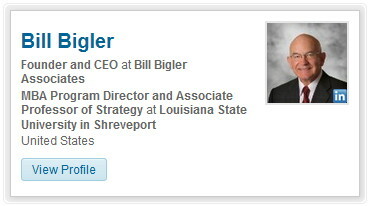 Bill Bigler is the founder of Bill Bigler Associates and can be reached at bill@billbigler.com or www.billbigler.com. Copyright © 2019 Bill Bigler. All Rights Reserved. Secured and Maintained by megabotix.com.